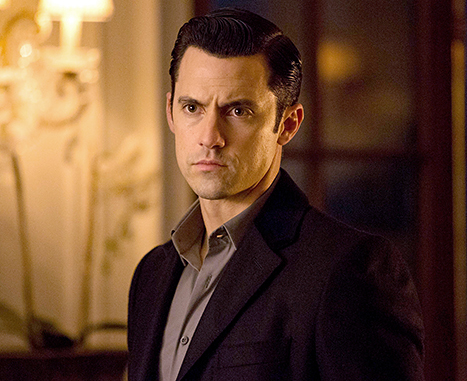 Milo Ventimiglia previewed his role on The Whispers with Dispatch Radio, praising his co-stars, particularly Lily Rabe and Barry Sloane, before turning topics to discusses his great role on Heroes, appearance on Gotham and Frank Darabont’s Mob City. “My character is a bit of a mystery,” he said of John Doe back ahead of the show’s beginning, adding that the appeal is “…the mystery, the creepy aspect of where it’s all headed…I think people want to know” about the bad guy. Milo talks about playing the “creepy serial killer” on Gotham, nicknamed The Ogre. “It was an interesting character…dark” and he propped up the creative team for giving him some freedom to explore the character. On Heroes, Milo confesses it’s “not surprising” the fans are so die hard, “filling a void” for audiences and is “flattered” at the ongoing response. He talks about the shelf life and questions the motive of a reboot, titled Heroes Reborn, get insight below. Milo is openly a big fanboy and talks about meeting certain stars and keeping one thing (a prop or article of clothing): his corner jacket from Rocky Balboa, the leather jacket from Gilmore Girls, the blade his Gotham character used…much more – listen and check it out. Of course, Milo’s role has manifested and he’s a part of the full season, but this was kept quiet early on, at the time of the interview, to keep with the mystery of his character and the show in general.